Did you know that Indiana is arguably THE BEST place in the entire world to live if you have a child with autism? In 2001, Indiana passed a law that classified autism as a neurological disorder rather than a mental health or emotional disorder. Under this classification, the law mandated coverage of medically accepted treatments for autism, including ABA therapy. Today, nearly every state in the U.S. has a version of an autism mandate. However, Indiana’s is the gold standard. Other states’ mandates have age restrictions or monetary caps, Indiana’s does not. With this law in place, families with children with autism began moving to Indiana for services for their children. Indiana attracted talented ABA providers. Indiana’s universities offered classes in ABA to develop home grown professionals to meet the need of the families in the state. Today, largely due to the passage of the Indiana Autism Mandate back in 2001, the quality, options, and funding for ABA services in Indiana remain the envy of families and providers around the world. 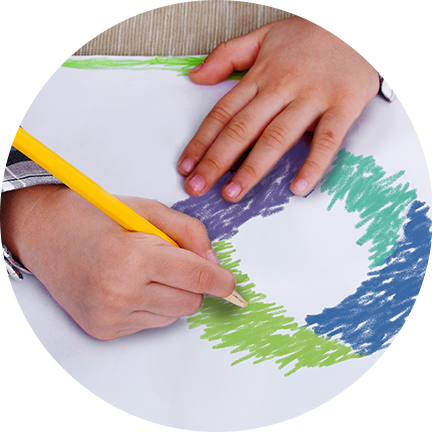 At Access Behavior Analysis, children receive up to forty hours per week of individualized, highly effective, 1:1 therapy that focuses on improving each child’s language, social, and speech skills, and decreasing problem behaviors within a caring, loving environment. But as with any law, there are loopholes and restrictions for coverage. If your employer’s plan is self-funded, it doesn’t have to follow the mandate. Insurance plans from companies not based in Indiana also do not have to pay for ABA therapy. You may have explored ABA for your child years ago and learned that despite Indiana’s Autism Mandate, your child could not receive services. But with the passage of the Affordable Care Act, aka, “Obamacare” there is now an affordable path to coverage for EVERY child in Indiana with an autism diagnosis, including those with Medicaid. That’s why the “open enrollment” period for The Affordable Care Act, which is going on right now, is a critical time for families of children with autism. Open enrollment is a three month window that allows any child in the state of Indiana the opportunity to access the most scientifically proven effective treatment for autism. Once the window closes, it will be at least another nine months before a path to coverage for every child emerges again. If you have ever considered ABA for your child with autism, or if you have just received a diagnosis of autism for your child and do not know what to do next, right now is the time to explore ABA further. If you would like more information about what ABA therapy is and why it’s considered the most effective treatment for autism, we’d love to speak to you. A Board Certified Behavior Analyst will talk to you about your child’s strengths and challenges and how ABA science can improve life for everyone in your family. Reach out today and begin experiencing exactly why Indiana sets the standard worldwide for effective autism treatment.